In a newly issued opinion, Buchanan v. Buchanan (Tenn. Ct. App. July 30, 2015), the Tennessee Court of Appeals addressed the strict and mandatory filing requirements to oppose a notice of relocation. The mother in Buchanan is a German citizen, who married the father, a U.S. citizen, and moved to the United States. They had one child together and divorced in 2008. The parties had joint physical custody of the child, with the mother as the primary residential parent and the father receiving 122 days of parenting time per year. On December 27, 2013, the mother sent a certified letter to the father notifying him of her intention to move to Germany with the child to assist her ailing parents, and informing him that she had secured employment there. The father objected to the move in a letter written to the mother’s attorney on January 24, 2014. The father also filed a pro se petition in opposition of relocation with the court on February 12, 2014, which the mother moved to dismiss as untimely. After a hearing, the trial court sided with the father, finding that the father’s lack of financial resources prevented him from retaining an attorney in time to file an objection and that the mother was not prejudiced by the delay. The trial court then denied the mother’s motion to relocate, finding that her motive to do so was vindictive and had no reasonable purpose. The mother appealed, arguing that the trial court erred in failing to dismiss the father’s petition as untimely. Tenn. Code Ann. § 36-6-108(d)(1) and (g) provide that a party opposing a proposed relocation may file a petition within 30 days of the receipt of notice. The parent spending the greater amount of time with the child will be permitted to relocate as long as the relocation has a reasonable purpose, it does not pose a threat of serious harm to the child, and the parent’s motive for relocating the child is not vindictive in that it is intended to prevent the other parent from spending time with the child. If no petition in opposition to the relocation is filed, the parent proposing to move with the child shall be permitted to do so. In reversing the order of the trial court, the court of appeals held that the 30-day period was mandatory and that the father’s delay in filing a petition within the 30 days permits the mother to relocate with the child. 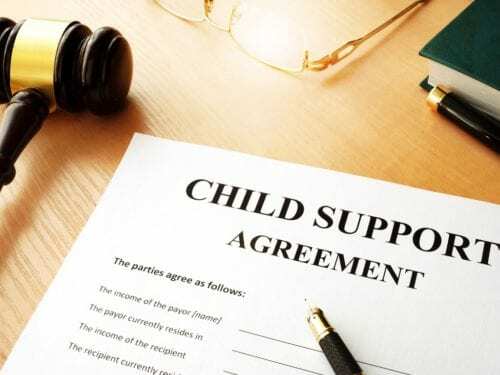 The court also stated that the record did not support a finding that it was an unreasonable burden or unfair to apply the 30-day requirement to the father, and a consideration of whether not the mother was actually prejudiced by the delay is not relevant to the decision. The court then remanded the case for the entry of a new parenting plan as necessitated by the relocation. In any court matter involving your child, you have the right to obtain legal representation. At the Nashville firm of Martin Heller Potempa & Sheppard, our experienced attorneys regularly handle a variety of family law issues involving parental custody, relocation, visitation rights, and more, as well as estate and personal injury cases. To discuss your case with one of our attorneys, contact us at (615) 800-7096 or online. Don’t post photos of your new girlfriend while you’re still married. Read what you sign. You’re not that busy. Your bartender tells you what you want to hear. Your lawyer tells you what you need to hear. Supposably is not a word.